What is aging in place? The ability to live in one’s own home and community independently, safely, and comfortably, regardless of age, income, or ability level (CDC 2013). The aging population or silver Tsunami consists of 46.2 million people ages 65+ (2014) with the baby boomers now being ages 52 to 74. 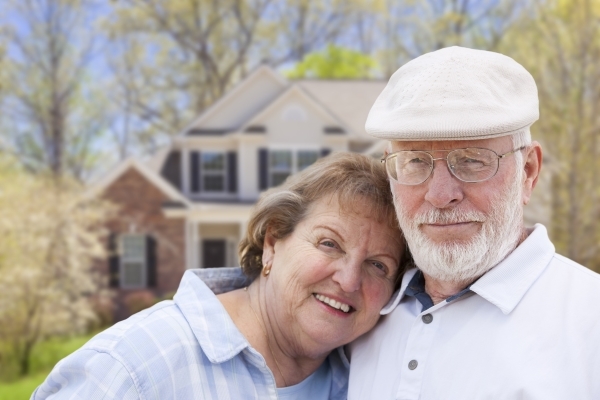 The people 65 years and older are expected to double from 46 to 98 million by the year 2060. This means more than a million older adults will be added every year. This is a lot of people to take care of throughout our country. So how do we do this to the best of our ability? First, we need to understand the aging process, both normal and diseased, in order to understand who will and will not need care. The normal aging process includes age related sensory changes such as vision, hearing, touch, taste, and smell. One may also experience cognitive changes and declines in short-term and long-term memories, slower thinking, and slower speed of recall. With these changes occurring, lifestyle habits also change. In other words, the normal or natural aging process creates difficulty for one to live safely anywhere, home or in a facility should they stay healthy longer than a person with a disease. Age-related diseases consist of ailments such as Arthritis, dementia, cardiovascular, osteoporosis etc… if you know anything about these diseases and how they can create debilitating deficits in the body, you understand why this population will indeed need help either at home or in a facility. So what does this mean to you? This means it will become imperative to give this annually growing population options as to where they would like to live. I think we can assume that most of this group will choose to age in their own place/home. Keep in mind this can be a very big decision as it depends on one’s finances, family/community support, type of home one has and the progression of their normal and/or disease aging process. What may seem like an easy decision to stay can turn into a not so good idea. Having said that, to keep someone in their home we will need more caregivers, Home Modification companies, and other safety precautions in place. My professional recommendation would be to do the following in order to assist someone in making this decision: have a family meeting to discuss one’s wishes, educate the family on their options considering one’s health and/or decline, evaluate the safety of the home, discuss the costs for the care and home modifications vs cost of facility, and encourage honest conversations as well as taking 24-48 hours to make a decision if applicable. This supports best practice strategies as it is giving the older adult autonomy and a sense of still being in control of something in their life. Especially if they cannot control what is happening to their body as it is aging. As a registered nurse, social worker, or another medical team member it is important to do your research for each individual case and come prepared to answer all the questions that will probably be asked during such a meeting. I would also recommend checking in on the family, depending on the health of the older adult, every 3 to 6 months to ensure the situation is still appropriate.